New Delhi, 16 July, 2018: Perfetti Van Melle India has launched a new communication campaign for their lead jelly brand Alpenliebe Juzt Jelly highlighting the Bear and Bottle shaped jellies in the portfolio in an entertaining manner. The new communication is targeted to position Alpenliebe Juzt Jelly as the “Enabler of family fun”. And since the intent was to feature the two shape variants - Bottle and Bear shaped jellies together in the campaign, they were brought to life as characters to make storyline more engaging. The communication core target group for the brand continues to be the family. Consumer immersions indicated that there are moments when the family wants to come together and have a fun time. Alpenliebe Juzt Jelly fits in perfectly here due to it’s juicy, fruity taste and good ingredients (product is made out of 25% fruit pulp). The campaign portrays one such occasion, takes the viewer on a rollercoaster ride of twist and turns, and endorses the idea of family fun centered around these Juzt Jelly characters. The story revolves around a bunch of bears and bottles trying not to end up as the family’s dessert. They try their best to convince the family members to eat the other one in their own unique ways. Speaking about the new strategy and TVC, Rohit Kapoor – Director Marketing of Perfetti Van Melle India said, “At Perfetti, we are constantly reminding ourselves of our mission -‘Always innovating what confectionary can do’. This is evident not just in our product innovations but also in who we are targeting. With this TVC, we wanted to reach out to kids in lively cute manner & also to the entire family to promote shared consumption of jellies”. 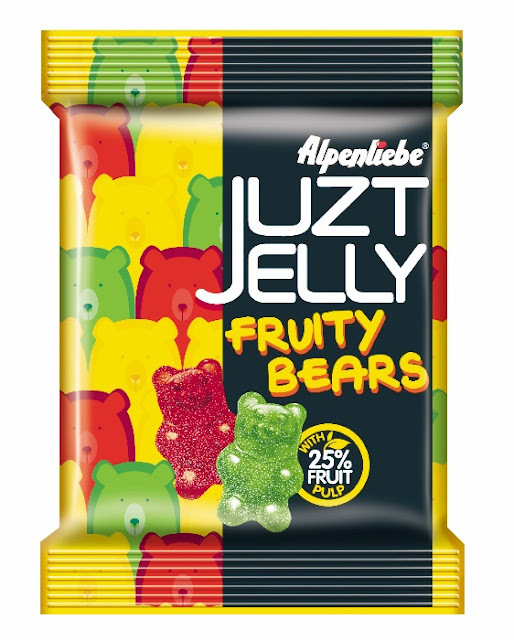 According to Kapil Batra, Creative head, McCann Delhi, “To bring Alpenliebe Juzt Jelly’s shapes (bottles and bears) alive, we have created a world where these shapes, in addition to being irresistible, also have a mind of their own. Like in this film, how the bottles and the bears try to outsmart each other for their survival in this fun-loving family. We are optimistic about this campaign, and want to take this banterbaazi forward". The film will be aired across major TV channels in India. About Perfetti Van Melle India Pvt. Ltd.
Perfetti Van Melle India Pvt. Ltd. (PVMI) started operations in India in 1994, and is a renowned manufacturer, distributor and marketer of several high quality confectionery brands. Over the years the company has expanded its portfolio and distribution and has maintained its market leadership. The company at present has a diverse portfolio of brands across segments (i.e. candies, jellies, gums & chewies) which it sells through various channels across the country. As a marketer, PVMI has always been known for its iconic and entertaining advertising. PVMI is a fully owned subsidiary of the global confectionary conglomerate Perfetti Van Melle, headquartered in Amsterdam.